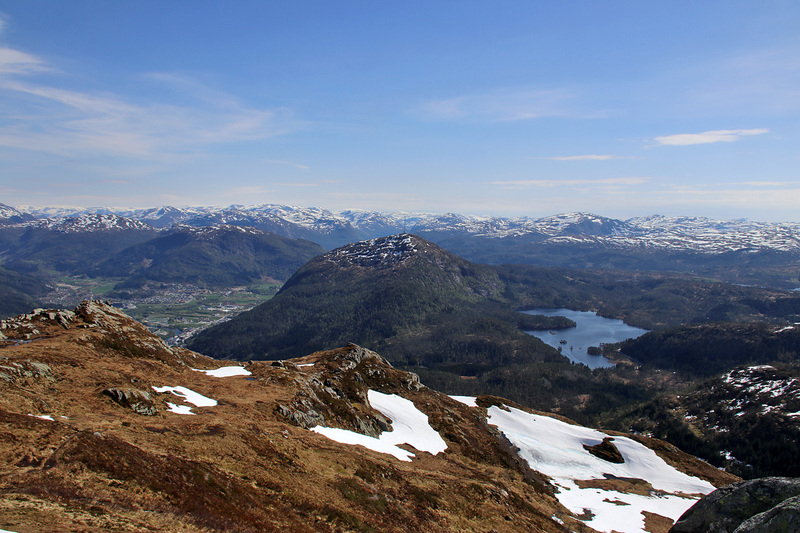 Sunday; it was time to return to Sunnmøre (from Sogndal), but I decided to take the long way home – via Sande (south of Førde). The plan was to hike 3-4 tops in that region, but I was depending on finding a petrol station where I could fill air into a heavily leaking tire. It turned out that the self-service petrol station in Sande did not offer air. So, I had to figure out a new plan. But first and foremost, I needed to get air into the tire and the closest place was Førde. 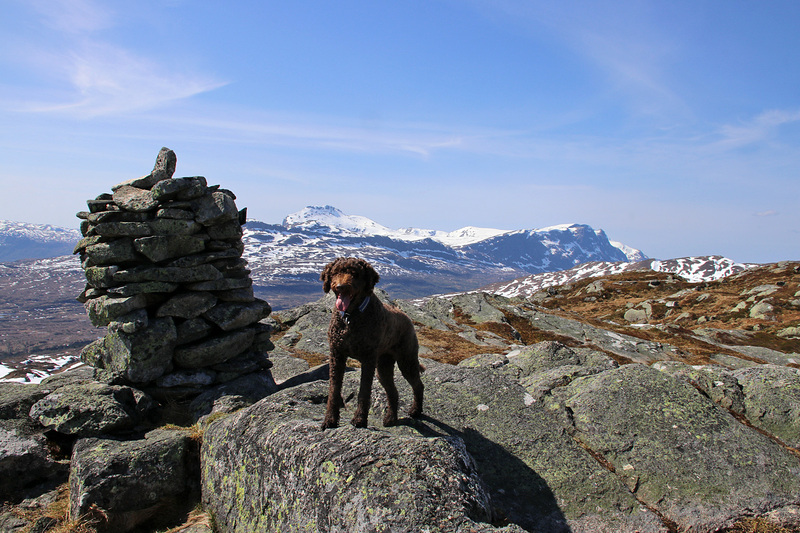 After visiting the petrol station, I discovered that I had missed out on one of the tops surrounding Førde – Hallbrendsnipa. That error had to be corrected! 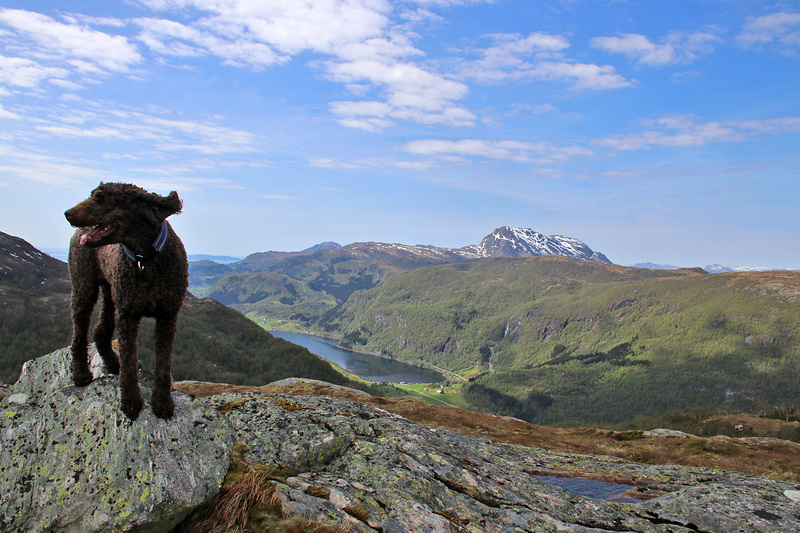 We (Karma and I) headed up the forest road and at the first fork, we went to the right – towards Hallbrendstølane. 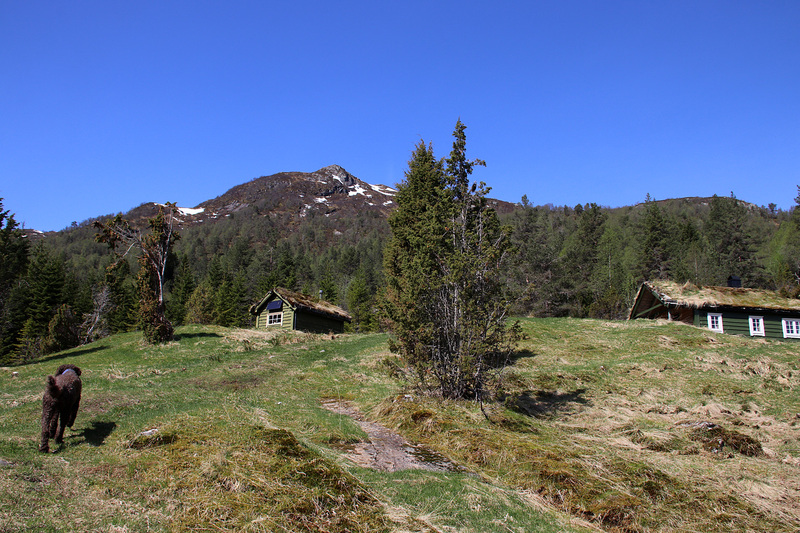 There were locals at one of the cabins, and they said there was a path just behind the cabin, but it would be hard to find. Indeed. I didn’t find it and decided to hike off-trail up the forest. That was a fairly easy task and I joined a well worn path just before the summit. I enjoyed the views for a little while before I decided to head back down. I decided to take the well worn path down, assuming it would lead me back to the trailhead. There was more snow on this side of the mountain, but it wasn’t a problem. I had cross Stølselva twice. Both times without getting wet. Eventually we reached the forest road and followed it back to the trailhead. A nice hike! 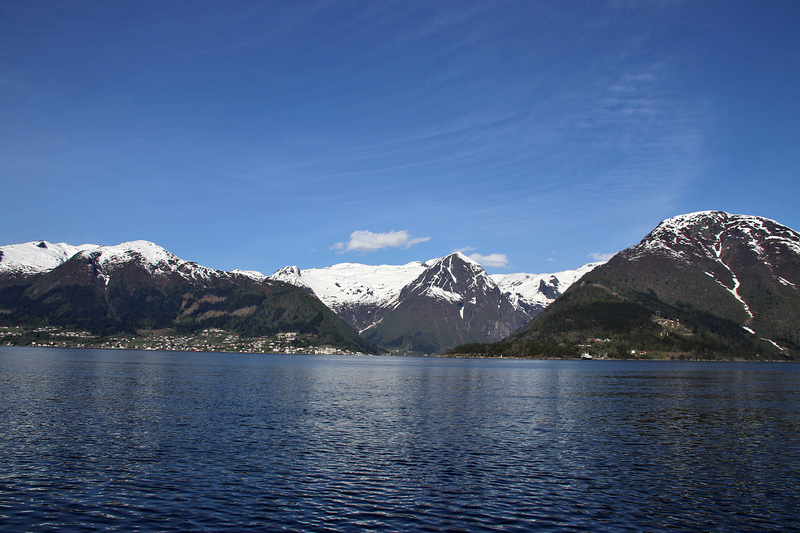 Still Sunday; from Førde, I headed westbound on 611 along Førdefjorden. When I passed Naustdal, I checked if the local petrol station could offer air for my tire. If they couldn’t, I decided to drive back to Sunnmøre. But, they were properly equipped and I could continue my journey to the west. 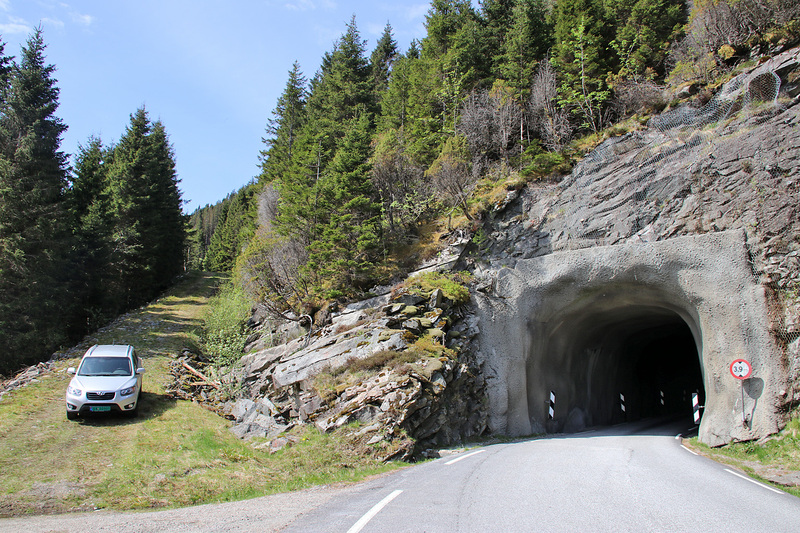 I continued towards Øyaskardet – the pass between Naregga and Byrdafjellet. 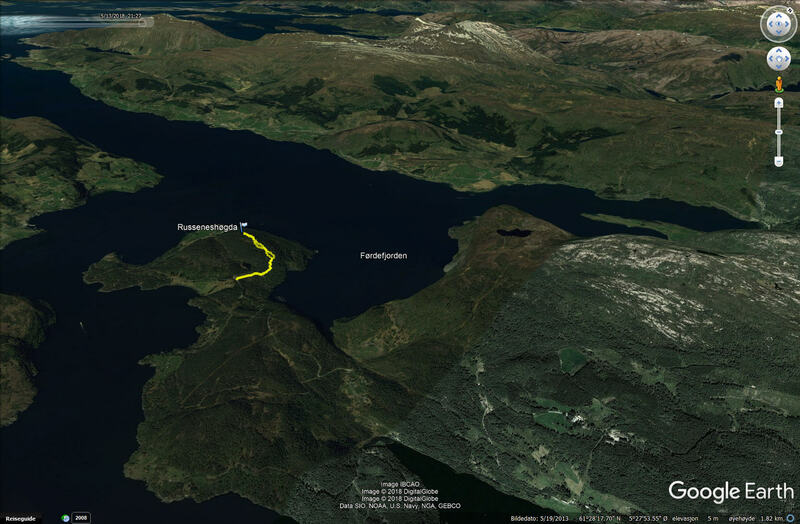 Based on the map, this looked like an easy hike, as there was a path up the ridge towards Orkja. I parked in front of the tunnel (on the south side) and headed up a tractor road. In the first fork, I took another tractor road up to the right, which was a mistake and a map reading error on my part. I should have continued straight ahead for another 0,2km. When the tractor road ended, I was approx. 100 vertical meters below the ridge and decided to just go off-trail (above picture). 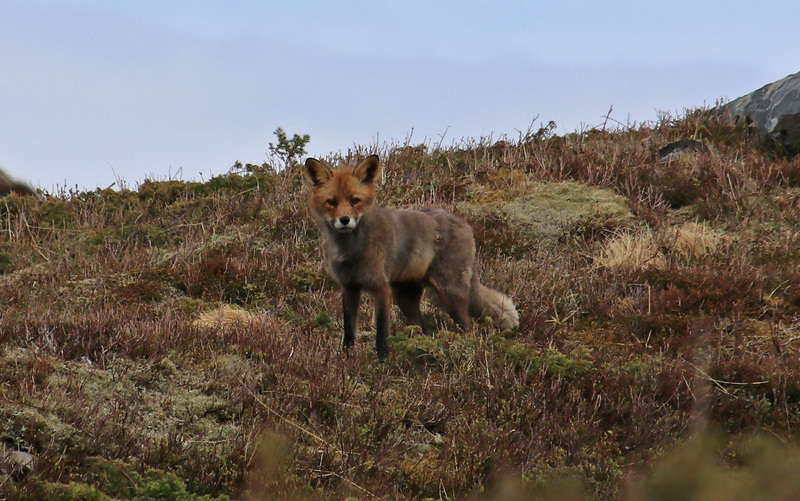 That worked OK.
Near the high point, I noticed a fox ahead of me. We stared at each other for a little while, until it decided to take off. 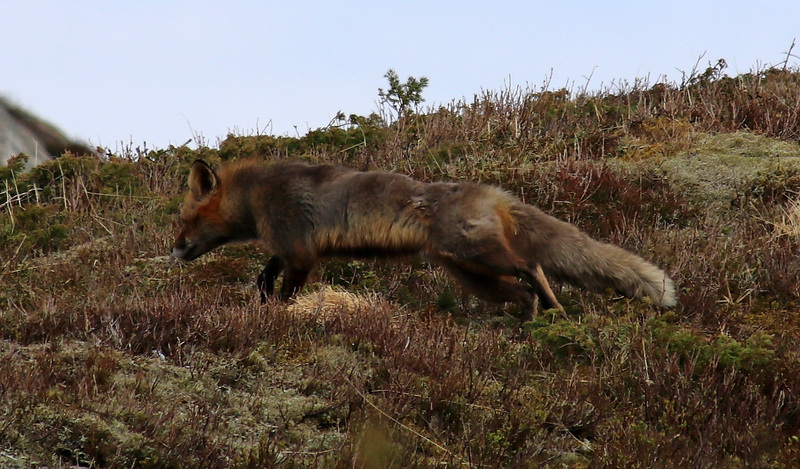 I rarely see foxes in the mountains, so it was a nice moment. There are three 530m contours on the top. I visited all three to be on the safe side, but it seems the westernmost top is the high point. 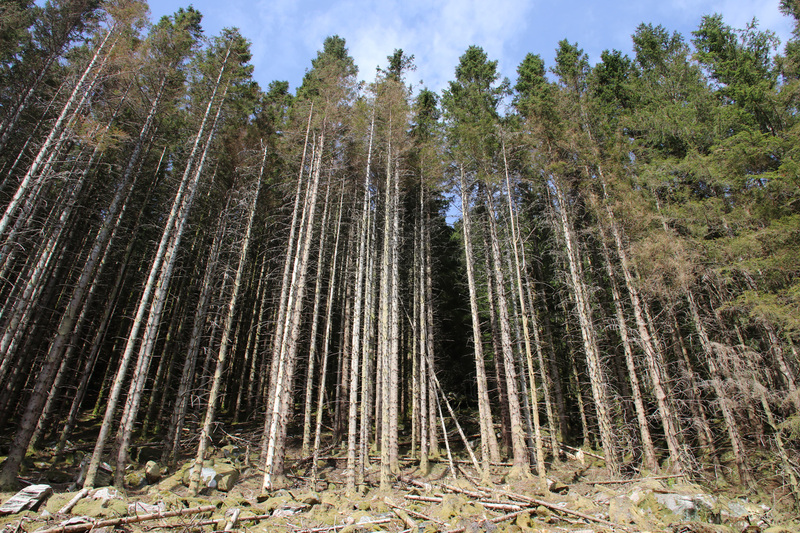 Upon descent, I decided to return along my ascent route – which meant I never found out where the path started. Still Sunday; with two new tops so far in the day, I was hungry for more and decided to drive all the way to the Russenes peninsula where Førdefjorden is at its narrowest. The road was paved and OK until I reached Kleiva. Then it continued as an OK gravel road. 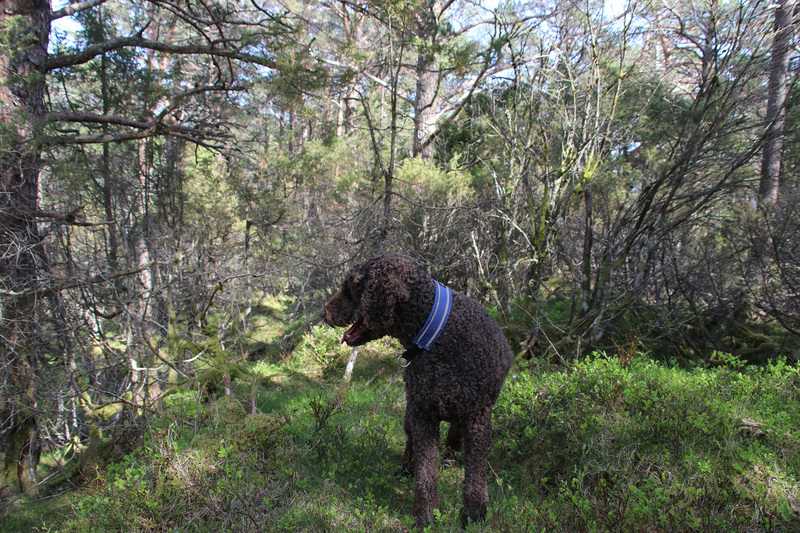 I parked just south of Litlevatnet – and headed into the forest. I did NOT expect a path up this forest hill, but definitely a deer track. And once I got to the southeast ridge, I could follow deer tracks all the way to the top – which is not marked in any way. 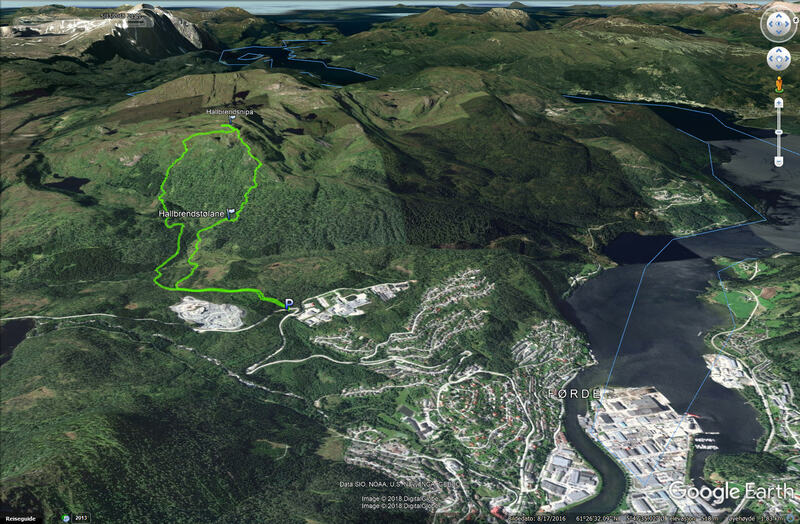 The trip: 1,6km 115 vertical meters, 31 mins.